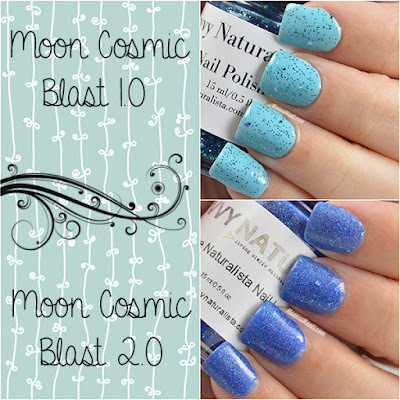 I reviewed Moon Cosmic Blast from Savvy Naturalista a while back. 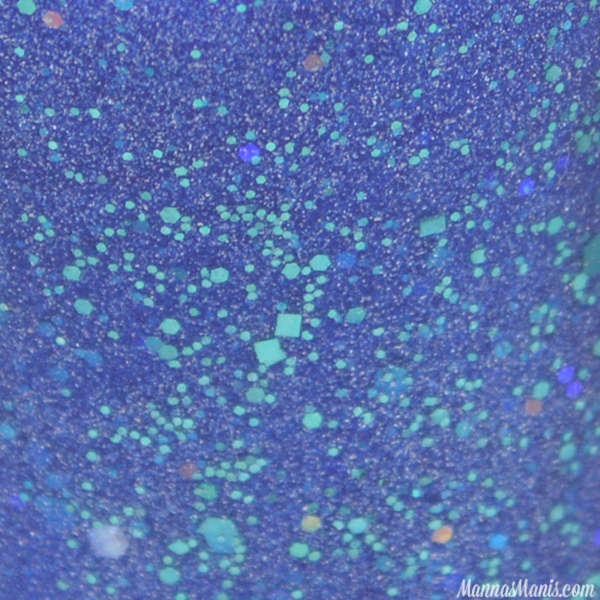 It was best suited as a glitter topper because I could not get it to be full coverage. Shundara has released a 2.0 version, and you will be shocked at the difference! As you can see, I had to use this over a blue base. If a polish needs more than 3 coats, I kinda give up. So IMO, this one was best used as a topper. How stunning is it?! 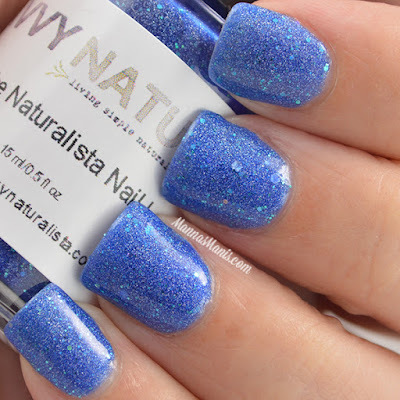 I fell in LOVE once I swatched it. In the bottle, it's like "oh cool, a blue glitter" but once you put it on, you will hopefully squeal with delight like I did. I love me some blue glitters, and this one is absolute perfection in 2 coats! Available for $8!